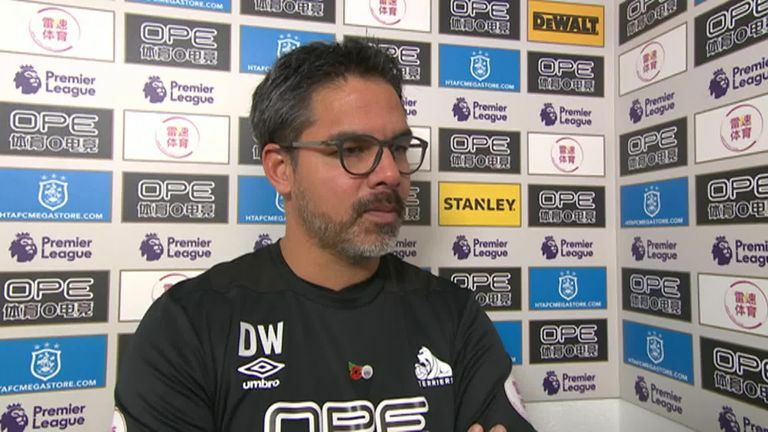 David Wagner believes Huddersfield's luck in front of goal will soon change after they were held 1-1 by West Ham at the John Smith's Stadium. Alex Pritchard's strike after just six minutes ended Huddersfield's 12-hour wait for a home goal scored by one of their own players, yet despite numerous chances they were unable to grab a second with Felipe Anderson punishing their profligacy with an equaliser. 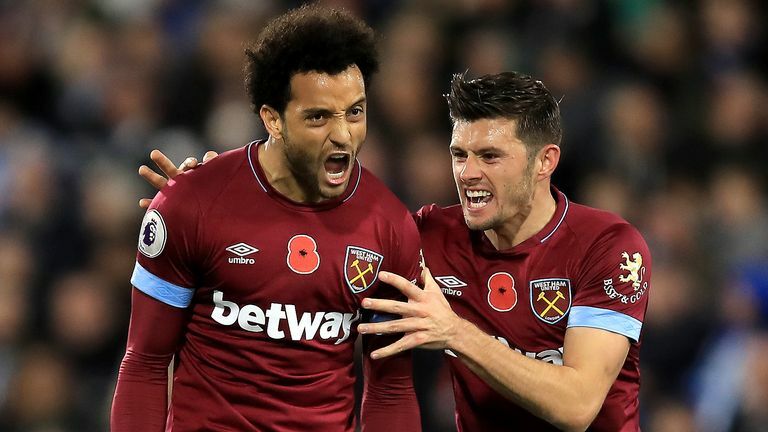 West Ham goalkeeper Lukasz Fabianski was kept busy making six saves in total, including a brilliant finger-tip stop to deny a Steve Mounie header before he got the better of him again in a one-on-one situation, while Phillip Billing's cross-shot cannoned off the inside of the post. Huddersfield remain the lowest scorers in the Premier League with just six goals to show from their 12 games so far yet Wagner saw enough in their performance to suggest they will start finding the net with more regularity soon. "It was a good game, both sides wanted to win, both sides wanted to create offensive situations," he said. "I think in the first half, we were the team with more clear-cut chances, we deserved the lead for sure and it was a great goal from Pritchard. "We had further opportunities with Mounie's one-on-one, we hit the inside of the post, hit the bar from Mounie, we had a penalty incident which I think was a clear pen when Zanka was fouled from the corner. "Unfortunately, it was a game where we didn't have the luck to score more than one goal but the way the players dug in, defended and performed was good. Obviously it's frustrating when you don't win even if we have to say that West Ham in the second half had good chances. "We don't have luck, it only means we will work harder. When it turns and we do have the luck we'll have more goals and more points." After dominating proceedings in the first half, Huddersfield were dealt a significant blow just before the interval when influential left wing-back Chris Löwe had to be replaced after sustaining a shoulder injury following a challenge from Fabian Balbuena. Highlights from Huddersfield's 1-1 draw with West Ham in the Premier League. Löwe received treatment for almost five minutes before leaving the pitch on a stretcher and Wagner admitted that he is set for a lengthy spell on the sidelines. "Unfortunately it wasn't given as a foul. He fell on his shoulder and it looks like a serious shoulder ligament injury, but we will have to make further examinations to find out if he needs surgery but he will be out for a few weeks for sure."